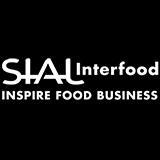 SIAL InterFOOD is the dedicated B2B platform For the Indonesian and Asian Food & Beverage Industry. 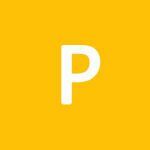 This event showcases products like coffee, tea and cocoa, fresh and processed fruits, agriculture products, halal, organic and natural health food products, frozen food, fish seafood, and meat products. Lots of booths to visit and there was great opportunity to know more of products. I enjoyed to visit coffee, cacao, the machineries and some other stuff. But because too many people coming sometimes it's hard to stay in each booth. Not that easy to visit when they're crowded. Sangat informatif. Participant variatif. Katalog tolong dipisahkan per kategori, jangan alfabet, untuk semakin memudahkan pencarian. Profile for exhibit include Food Processing & Packaging Technology, Basic food technology, Packaging machines and materials, Automation, data processing, open-loop and closed-loop technology, Food safety, quality management, Operating equipment, environmental technology, bio-engineering, Refrigeration and air conditioning technology, Conveying, transport and storage facilities Ingredients and technological process materials, Components, modules, surface technology.